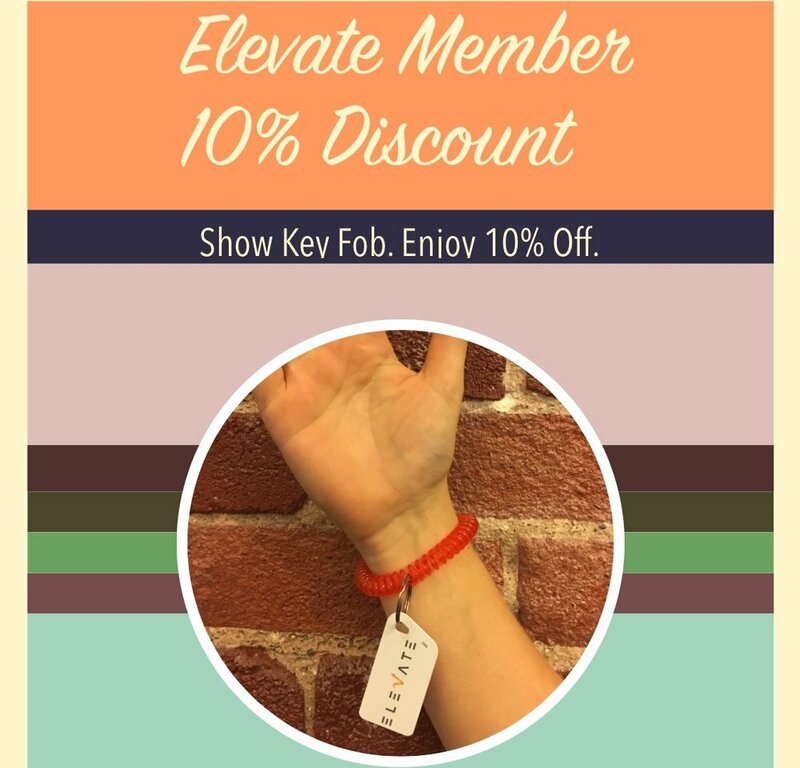 Welcome to Elevate Yoga. Our team of experienced, certified instructors invites you to try on something new. Shift your vision, release your stress, and ignite your spirit with us through Yoga. 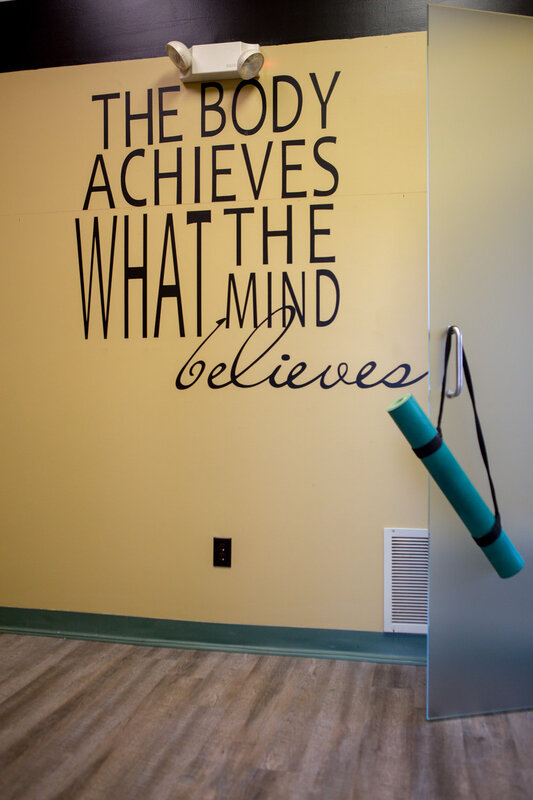 No matter what your level of ability, we welcome you with our inspiring, lighthearted approach to Power Yoga. Wear something comfortable and easy to move in. It is best not to eat a heavy meal prior to yoga and to stay properly hydrated throughout your day for heated classes. This 60 minute class is offered in a warm room and is designed for every yogi from beginner to advanced. Our power vinyasa connects movement with breath as we peel away layers to allow for possibilities. Teachers offer modifications as well as the "next step" for continual growth which makes this class accessible to every body. This heated class powers out our Baptiste sequence in 60 minutes. Be prepared to sweat and surrender. During this class, students move through our vinyasa flow easily, with concentration on stretching and breath work. Moving at a slower pace, this class allows time to go deeper and explore the asanas. Easy flow is offered in a slightly warmer room. Relax and release as our instructor leads us through a guided meditation. This class focuses on unwinding and decompressing. It is a great addition to our physical asana. Are you looking to sculpt your body? Calm your mind? Free your true self? Our experienced instructors are eager to share with you the keys to enhancing your whole self. Lucy Valente studied Yoga Teacher Training at The YogaLife Institute in Wayne, Pennsylvania, one of the most established schools of classical yoga philosophy and practice in the country. In April 2010, she completed her Yoga Teacher training that has encompassed yoga philosophy and spirituality, yoga lifestyle, pose structure and anatomy, mental and physical alignment, breath work, chakras, meditation, diet and nutrition. Practicing for 10 years, Lucy considers herself a life-long student of yoga study. She continues her on-going yoga education by attending numerous intensives, workshops, and seminars of yoga study. 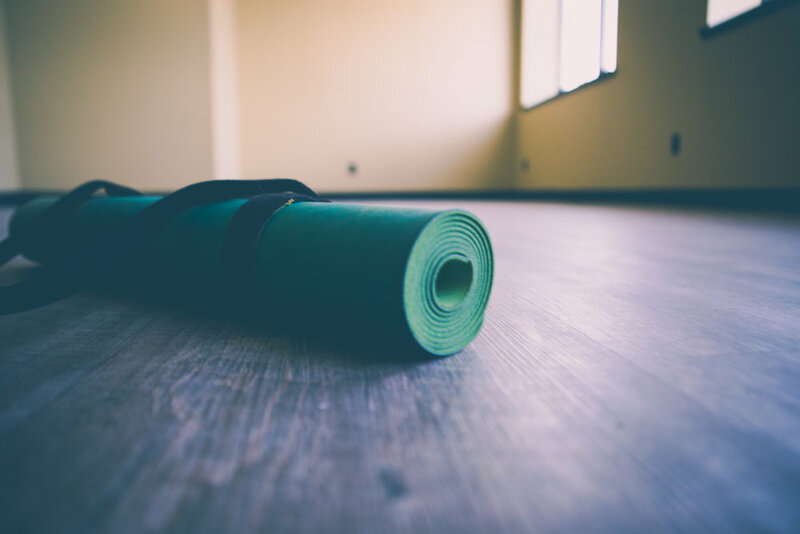 While attending The YogaLife Institute and Kirpalu Center for Yoga and Health, she has expanded her practice knowledge to include exposure to different yoga styles including Vinyasa, Anusara, Iyengar,Yin Yoga, and Power Yoga. 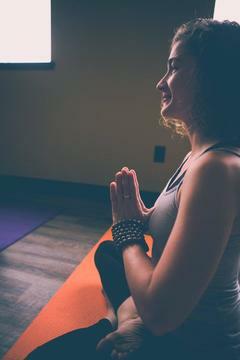 Lucy is committed to passing on the gifts of Yoga by helping others deepen and enrich their practice. Her focus is on the mind-body connection through movement, alignment, breath with intention, balance and awareness. 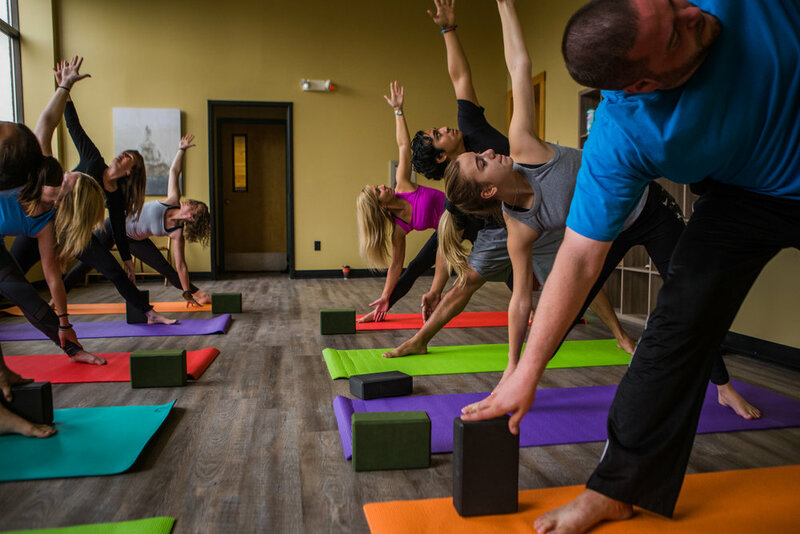 Her singular goal is to create an atmosphere to permit her students to experience Yoga at its most holistic and personally transforming level taking the experience from yoga mat into their daily lives. To be present in one’s state of mind. Yoga is a journey to the self through the self. Tammi has been practicing Yoga for over 10 years. She has always been physically active all my life and strived for a healthier way of life. Her yoga journey began while seeking physical benefits, and then blossomed into so much more. She felt she was being led to the mind, body, spirit connection. On her journey she discovered that she had an intuitive ability. She always had a strong desire and compassion to help other people which led her to Reiki.\ Then becoming a Reiki Master/ teacher. She sought more understanding of herself and the world we live in. As a yoga instructor, her goal is to inspire others to discover their inner light. Her commitment to Yoga and wellness is a daily practice, which has developed over many years. She will continue to practice and is constantly learning. "Yoga has improved my life in so many ways and I want to help pass that on to everyone I meet. I am more concerned with helping people find the truth of who they are than get into difficult postures. Yoga will continue to teach me more about life situations. I am now practicing yoga on a mental, emotional and spiritual level everyday that is why I need to teach this beautiful practice to others". Mary is a practicing Licensed Massage Therapist since 2006, who strongly believes in the healing power of the human touch. Her yoga practice gives her the replenishment and balance she needs to perform and heal at her best. Her patients benefit from her advice on posture, stretching and breathing. Yoga has shown her self love, inner peace and given her incredible flexibility and strength. Power Vinyasa yoga challenged her in new and inspiring ways; mentally, physically and emotionally. Mary completed her 200 RYT in January 2017 at Peace of Mind Yoga Studio. There she experienced the power of self exploration and the freedom of letting go, so she could make peace with her past to make space for her future.That is why and what she wants to teach. She has truly become a better version of herself on and off the mat. Mary teaches with tremendous passion. She is overjoyed to have the opportunity to share it with the world around her. Yoga has saved her life in many ways and she hopes to inspire and save others through her teaching. Her lifelong journey of yoga has just begun and it will never end. Dennie’s intention as a yoga teacher is to connect to her students, as well as her community, while inspiring, uplifting, and motivating those around her to live their lives with authenticity and passion. She loves giving back to the community, and hopes to inspire others to get involved as well. Dennie invites you to step out of your comfort zone for dynamic, challenging Baptiste Power Vinyasa Yoga classes that will encourage personal growth both on and off the mat. Her classes are energetic and playful, with a strong emphasis on breath and alignment, making them great for all level of practitioner. Dennie is a veteran of the United States Marine Corps, and turned to yoga to help cope with PTSD and MST. She was introduced to Baptiste Power Vinyasa Yoga in 2012, and was amazed at how the challenging practice helped ease her anxieties and gave her an overall feeling of inner peace. She became a certified yoga teacher in January 2015, and went on to receive her 500-Hr Baptiste Yoga Certification in October 2017. Because she believes that yoga is a lifelong journey of discovery, she continues to explore as a student and teacher, and continues to attend trainings with the Baptiste Institute. She also completed Level One training with Veterans Yoga Project, and is now an Ambassador for the organization. Because working with veterans is a passion of hers, she proudly teaches for the Lone Survivor Foundation in Houston, TX.